Nothing is better than sinking your toes into warm sand and cooling off in the salty seawater. Summer is all about relaxing and soaking up the sun with family and friends. The Hamptons are the south eastern shore towns off of Long Island, NY that house the beachgoers in the summer months. 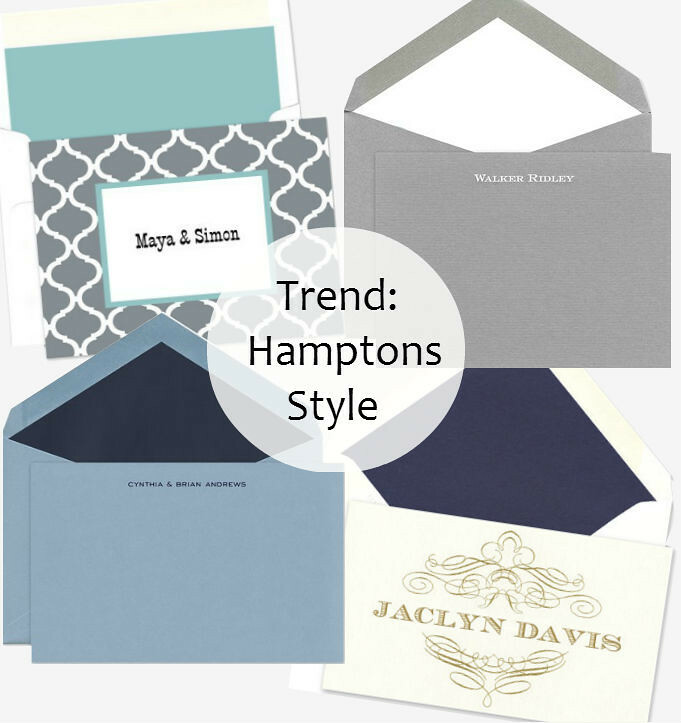 We compiled a few fresh stationery pieces that reflect the elegant, but never overdone look of the Hamptons. The coastal living calls for a color pallet that reflects the ocean tides and sandy shores. Crisp whites, soft blues, and neutral greys are a great reflection of the modern chic style that encompasses the home décor and clothing fashions of the area. Classic designs and timeless simple typography are great reflections of the Hamptons lifestyle. Dalton Blue Flat Cards by Crane and Co.
For more social stationery, visit us here.